Pattison Sand, a sand and aggregates company based in Iowa, US, has opened a custom designed plant capable of producing more than seven materials: concrete stone, road rock and base material, asphalt stone, asphalt chips, railroad ballast and manufactured sand. This was a challenging demand considering most aggregates sites in the region typically focus on producing only a few products. “We are very close to Pattison Sand, and spend a lot of time with them on-site brainstorming ideas and working together. When they have a problem we work tirelessly to find a solution that fits their needs and enables them to service their end market efficiently. When Pattison Sand presented the ambitious plan for their sand plant, our integrated solutions team worked with them to make it a reality,” said Eric Jones, Global Service Director of Comminution Aftermarket for Weir Minerals. The facility, comprising both an underground and surface mine, is located on the Mississippi River. Processing highly abrasive materials combined with the physical diversity of the site presented a number of technical and engineering challenges. 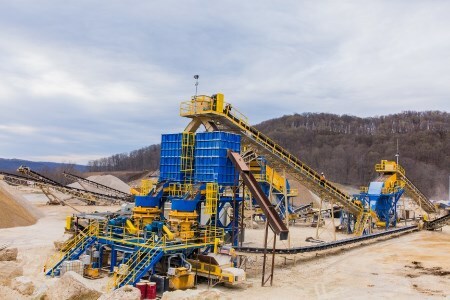 With an aggressive timeline of three months to deliver and commission the plant, Weir Minerals’ Integrated Solutions team was determined to meet Pattison Sand’s exacting demands. “We develop these solutions with Weir Minerals through a lot of trials, successes and failures, and end up getting the results that we need to continue to survive in the marketplace. A lot of the options that other equipment manufacturers supply are standard and by the book. Weir Minerals has the ability to work with us to create solutions for our individual issues,” stated Chance Harvey, Director of Engineering, at Pattison Sand. The flexibility of the custom built plant has allowed Pattison Sand to operate more efficiently, exceed production target and increase their product range. Since commissioning the plant, Pattison Sand has been able to produce 500 – 800 tph of consistently high-quality aggregate material, which equates to around 2.5 million raw tpy. Four hoppers provide a loadout rate of 500 tph enabling Pattison Sand to produce a diverse range of products and still meet demanding customer delivery schedules. “When customers purchase Trio® products they are buying years of experience from people within an organisation that is dedicated to the industry and its customers. We constantly strive to be closer to our customers. It’s not always perfect, but we work through projects together and are honest with each other. It’s that transparency and working with customers like Pattison Sand which really drives the end solution,” stated Eric Jones.